Grausamkeit contributes unreleased material plus tracks from "Nostalgia/Okkultes Blut" from 2001. 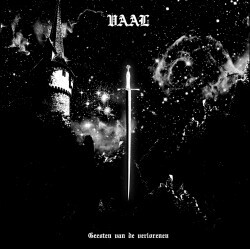 Grausamkeit is among the first wave of German black metal, releasing a lot of crazy demo's in the 90s. This is insane and deranged material in true Grausamkeit style. Khaomega is relatively new band from the same region as Grausamkeit and plays fucked up extreme stuff, at times sounding like a mix of Mysticum and Zyklon-B.